First up I apologise for the awkwardness of these photos – I’m no pro at outfit pictures and these were done on a tripod haha! But I wanted to share a few pieces I’ve been loving recently. 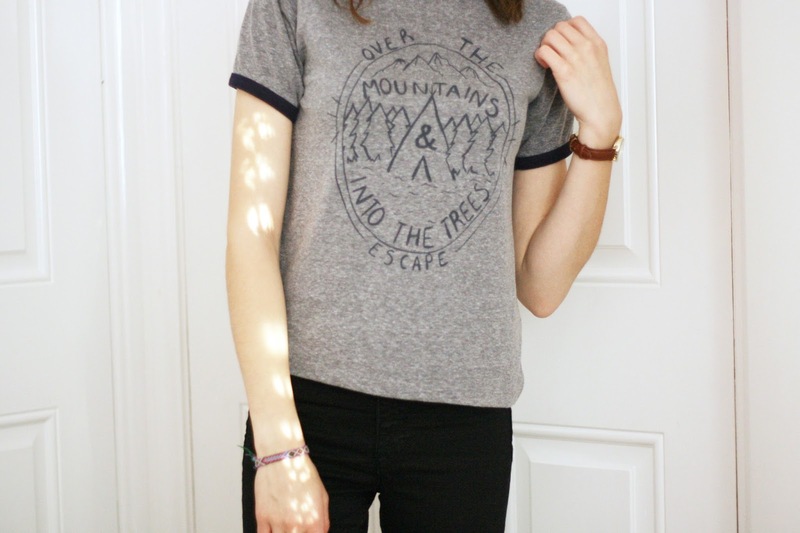 First of all my t-shirt is from Urban Outfitters | £26. The reason I love this so much is because of the quote on the front – I just adore it. Its pretty much your average t-shirt aside the quote but I think thats what I love about it. Its comfy, casual but is so soft and fits really well. I paired this with my black, ripped at the knee skinny jeans and my black high top converse. I think this is a great everyday t-shirt that sheds a little positivity into your day. My watch is also from Urban Outfitters | £18. I love this watch – I have pretty small wrists so this sits really nicely because it doesn’t have a huge face. Its very clear and easy to see and I love the brown leather strap, it makes it a little more subtle apposed to a black strap. 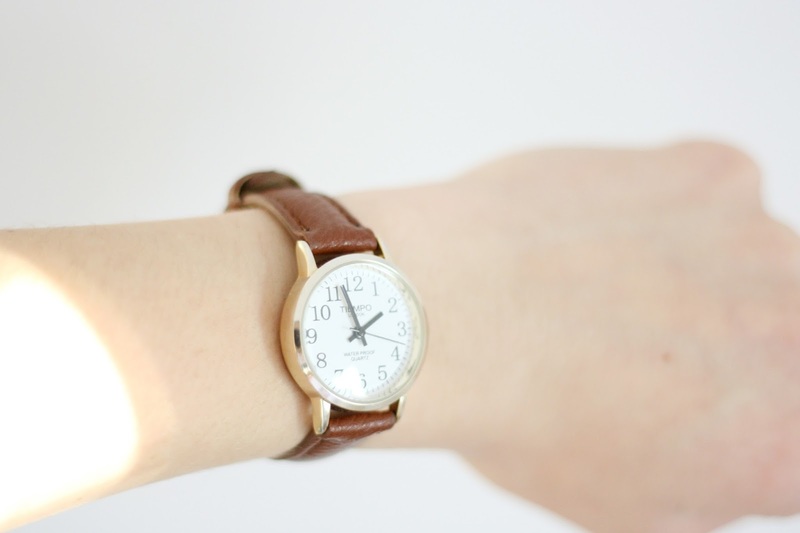 The gold hardware is also really lovely and I think its a great neutral everyday watch! 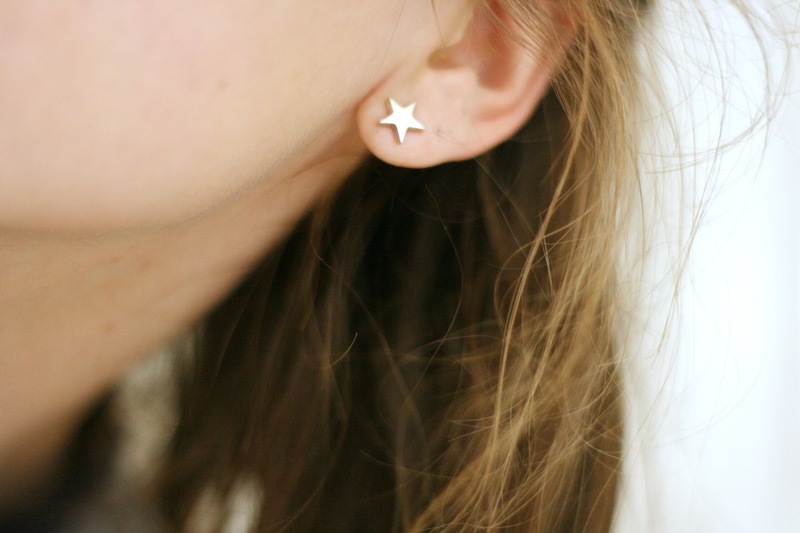 Finally just to add to everything, my cute little silver star earrings. These are from Silver By Mail. These are real silver I believe and they just look really sweet in my opinion. I’m not a massive fan of chunky earrings, more of a dainty earring kinda gal. I just thought I’d share these pretty lil things with you. What pieces have you been loving recently?